It says something about the act of mankading that people who claim bounced-balls as catches, men who ran out a player walking to congratulate his partner on hitting a hundred, batsmen who don’t walk after edging, those who tamper with the ball, some who have taken drugs, and those who mouth ugly personal abuses have united in the moral war against mankading – and yet, it’s not only in rules but also in its latest iteration, it clearly says the onus is on batsman not to leave the crease until the ball is delivered. Why then this furore? Perhaps, because unlike other dismissals, Mankading pre-empts everything else: a ball hasn’t been bowled, the batsmen haven’t gotten into the act, and some feel “cheated” by the non-consummation of the cricketing act. We look at some of the outrage, from present and the past, to understand the issue. In a flurry of hyperventilating tweets that has ranged from questioning Ashwin’s integrity and class to alleging bias on anyone who didn’t conform to his view, Warne probably made the one tweet (above) that best captures the views of people who sit on ‘morally-not-right side’ of the Mankading fence and also question whether Ashwin was right even by the newly amended Law. That intention to deliver the ball is the most valid criticism thus far. Under the previous rule, bowlers could attempt a run out only before entering their delivery stride. Now, under the new change in 2017, bowlers will be able to run-out up to the instant at which they “would be expected to deliver the ball”. 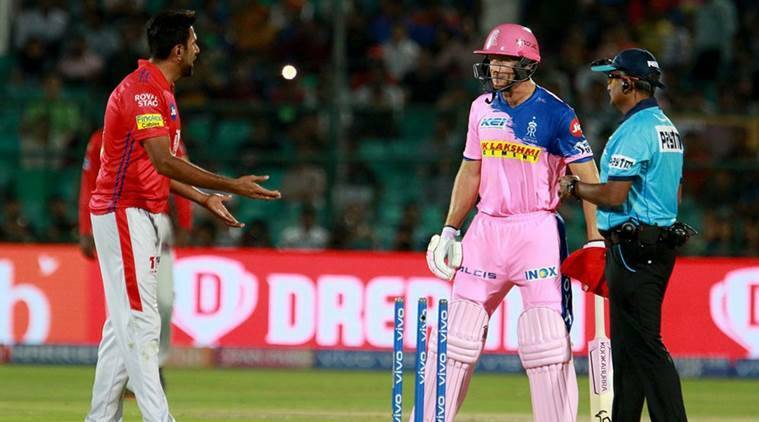 More evidence has emerged that shows that Buttler was standing outside the crease thrice in the same over – before Ashwin had delivered the ball – before Ashwin decided to mankad off the last ball. 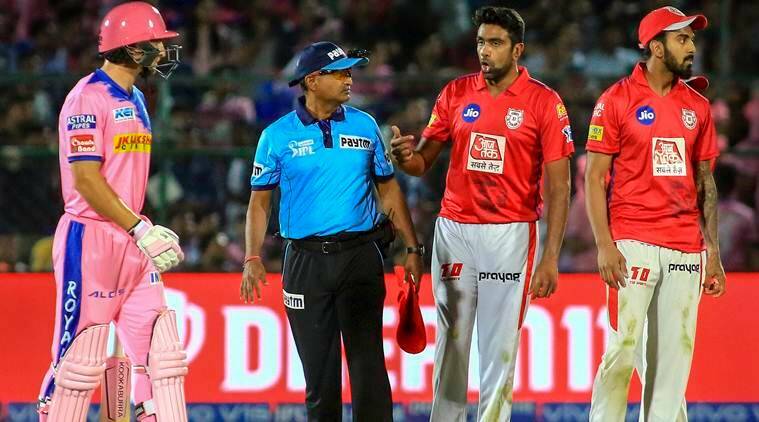 Now, as Warne says, Ashwin might well seem as if he has no intention of delivering the ball – and that’s where even the amended rules leave it vague. Should he not have stopped and waited but done the run out in his delivery stride as Kapil Dev famously did in 1992 to Peter Kirsten? What is the point at which he is expected to deliver the ball? Ashwin can well turn around and say that he was still in control and could have delivered the ball. The vagueness even in the new rule can lead to more subjectivism – It should be made clearer, taking out the intentions of delivering the ball and letting the batsmen know that they can’t just leave the crease until the bowler releases the ball or umpire calls it dead ball. But the outrage would probably have been the same even if he had attempted to get into his bowling action stride as it would still be deemed be unfair by the moral police. As things stand, the main idea of the rule change was to put the onus of moral and spirit of the game on the batsmen. By saying that “the onus on the non-striker to remain in their ground” and “the message to non-striker is very clear -if you don’t want to risk being run out, stay within your ground until the bowler has released the ball”, MCC, the body that drafted the change, has made it clear that the batsman would be cheating if he steps out before the ball is released and can be run out. 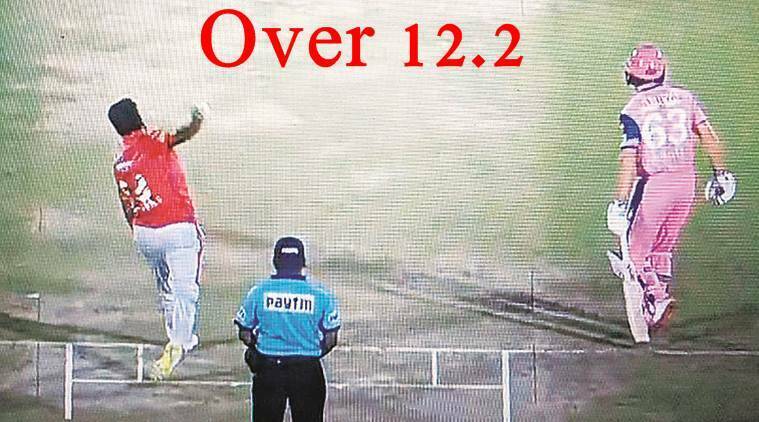 In 2016, when Keemo Paul, now in IPL then with West Indies U-19 team, mankaded Zimbabwe’s last batsman to win the game, similar furore had erupted. 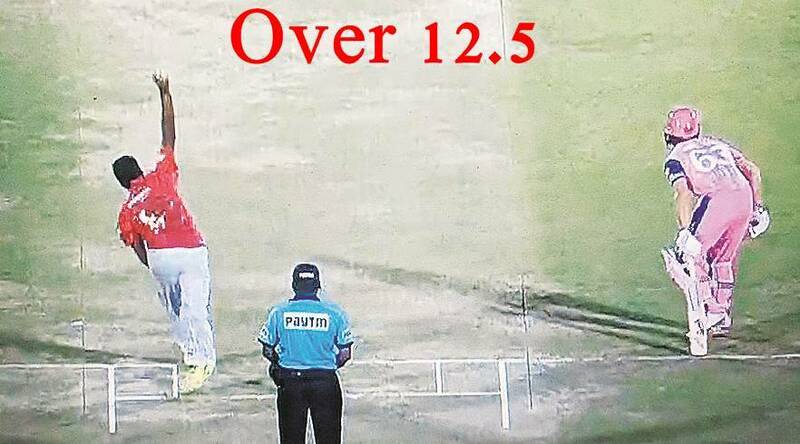 Paul had run in with the sole intention to Mankad – he ran right through the crease and took out the bails after the batsman had stepped out of the crease. A while later, West Indies senior team’s captain Jason Holder tweeted the above comment on a photo from an international match that had Kagiso Rabada entering the bowling crease when Moeen Ali, the non-striker, could already be seen well outside the crease. When Buttler was mankaded by Sri Lanka’s Sachitra Senanayake in 2014, England cricketers from Michael Vaughan, Alastair Cook, and Graeme Swann had criticised the bowler but Atherton chose to differ. His comments point out that it doesn’t matter if the batsman was deliberately trying to gain an advantage; he shouldn’t venture out. Some have commented about giving Butler a warning but how many warnings does a batsman need, especially the one who has been mankaded out before? As a postscript on the Senanayake issue, Swann had managed to infuse some hilarity even in his criticism. 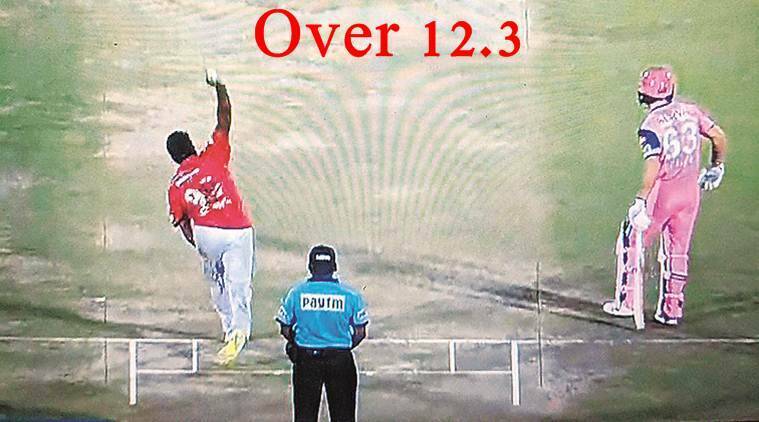 “I think the Mankad is just wrong even though it’s not illegal. Like cuddling your sister while watching a film,” Swann said then. When Keemo Paul mankaded the Zimbabwean, one of the harshest critics was Stephen Fleming, who had called it “absolutely disgraceful”. In 2006, when Muttiah Muralitharan walked down the pitch to congratulate Kumar Sangakkara on reaching a hundred and was run out by Brendon McCullum, Fleming had said, “The game doesn’t stop when a player gets hundred”. Muralitharan wasn’t trying to get an extra run, he had touched the bat at his end and immediately turned just to congratulate but he was, rightly, ran out as according to laws he shouldn’t have wandered. But if ever there was any moral spirit-of-game angle to be considered it was then. Soon after that tweet from Archer, Tino Best, former West Indies fast bowler, told him to delete. “Don’t get caught up in that boss the rules are the rules and until they are changed guys will exploit them, do your job and be cool don’t get caught up with tweeting boss, next year u could be playing for Punjab don’t get in anyone’s bad book for nothing chief”. Archer deleted his tweet immediately. * If the non-striker is out of his/her ground from the moment the ball comes into play to the instant when the bowler would normally have been expected to release the ball, the bowler is permitted to attempt to run him/her out. Whether the attempt is successful or not, the ball shall not count as one in the over. To clarify, it has never been in the Laws that a warning should be given to the non-striker and nor is it against the Spirit of Cricket to run out a non-striker who is seeking to gain an advantage by leaving his/her ground early.